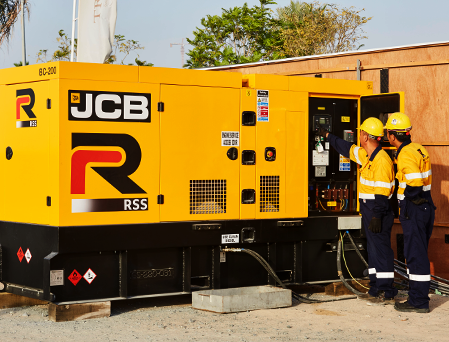 RSS is a leading provider of temporary power rental in the Middle East. Our power generation machinery is best in class – sourced from leading manufacturers across the globe, offering amongst the most reliable and fuel-efficient equipment available in the market, built to rental specifications. We provide temporary power to single-site projects and entire cities alike for all types of projects and requirements, which can be customised to suit individual needs. We have the equipment to offer temporary power from three days to three years. RSS bolstered its generator range throughout 2017 with multi-million-dollar investments in best-in-class generators, offering among the most reliable and fuel-efficient power generation equipment available on the market. The RSS equipment is manufactured to rental specification, with acoustically sound-proofed canopies and containers as standard. It includes generators with a capacity from 30kVA to 1250kVA. We only work with leading manufacturers of high quality diesel-fueled engines, including Cummins, JCB, John Deere and Volvo. Our fleet supports the construction and operation of some of the Middle East’s most iconic projects, from Atlantis the Palm and Burj Khalifa in Dubai to Msheireb Downtown in Doha and Saudi Aramco in the Kingdom of Saudi Arabia. Our generators are also used for short-term projects, enabling the operation of a range of events, festivals and sporting tournaments as well as servicing core industries such as Utilities, Petrochemicals, Manufacturing and Oil & Gas. Often, our Power solutions are combined with our Cooling products as we look after our customers’ total rental solutions and services requirements. The RSS power fleet includes generators with a capacity of 30kVA to 1250kVA. The RSS power generation fleet includes double-bunded fuel tanks (1,000 gallon to 5,000 gallon capacities), transformers, load banks and HV/LV switchgear and electrical distribution. For full Power solutions and services, Click here.